New Delhi : After a video of kanwarias hitting and overturning a car in Delhi's Moti Nagar, Uttarakhand's principal secretary has written a letter to home secretaries in Delhi, Haryana, Uttar Pradesh and Himachal Pradesh, asking them to check all kanwarias and take away their sticks, baseball bats and hockey sticks from them. The letter was written on July 9, following several meetings conducted by Delhi Police with police teams from other states. Check video of kanwarias going mad and hitting a car after it brushed one of them in Moti Nagar in Delhi. Kanwar Yatra started on July 28 and it will end on August 10. "Most of the time, kanwarias carry tridents, baseball bats, hockey sticks and they don’t hesitate to use these weapons whenever they have an argument or fight with anyone. They also fight with shopkeepers and local public, which becomes a major law and order issue," the letter states. He also claimed in the letter that some of them consume drugs, which is another challenge for law and order enforcement officers. 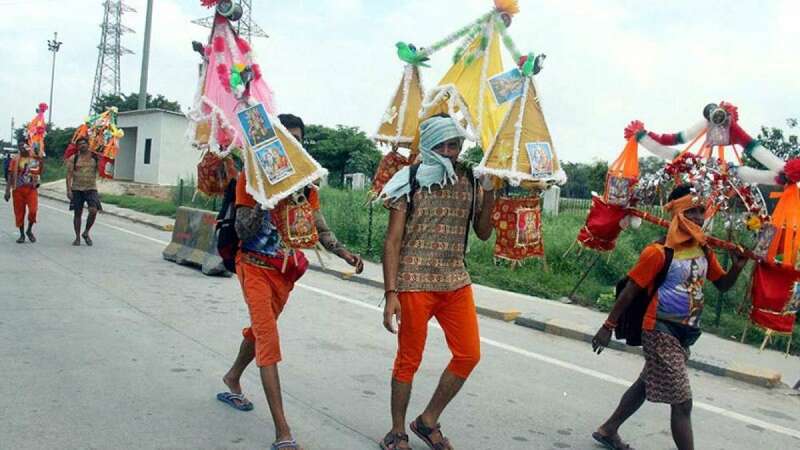 “Kanwarias initially came walking, but later some of their groups came in tractors, trolley, trucks, etc to Haridwar. It was observed that they start competing while returning home, driving rashly and causing road accidents. Their vehicles are also equipped with big music system, which increases the possibility of road accidents,” it states.